Walk down the supplement aisle of any pharmacy or supermarket and you’ll no doubt notice shelves full of probiotics and prebiotics promoting gut health. But what, if any, benefit do these products really provide? Today’s show features frequent podcast guest and gut health expert, Kate Scarlata. 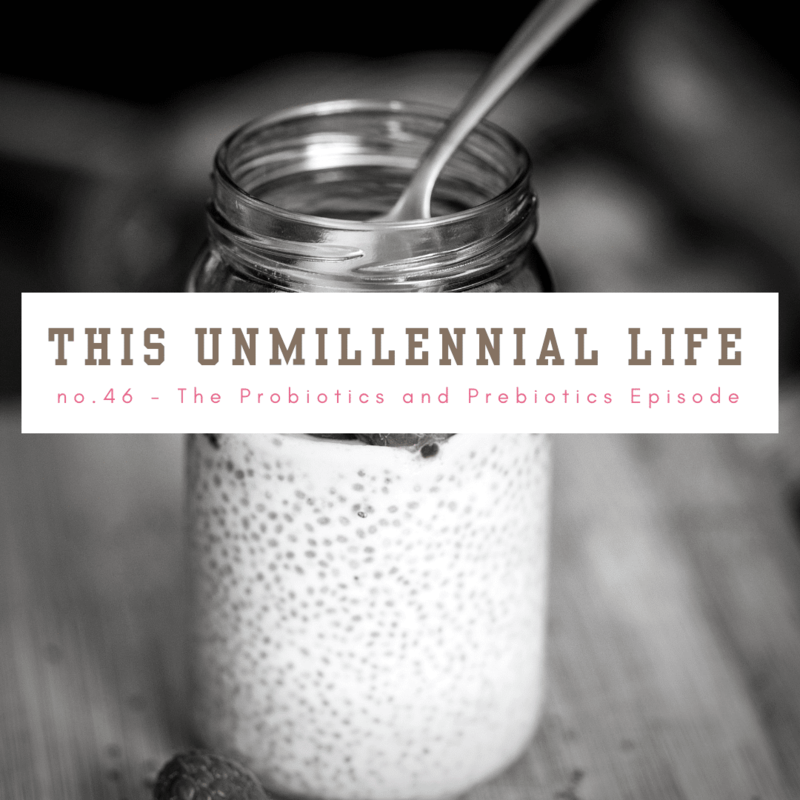 Kate’s previous appearances on both The Poop Episode and The IBS Episode landed her at the top spot for a return episode to discuss pro- and prebiotics, by listener request. To close out the show, I’m walking listeners through my most recent experience using the new Apple iOS software — Screen Time. Found under “Settings” on the iPhone, Screen Time can not only help you monitor your usage but more importantly, allow you to set up limits on app usage and designate periods of time that you want to “force” yourself to be off your phone. While I’m only discussing what I’ve experimented with for myself in this episode, I plan to implement these controls with my kids very soon and report back. If you have used Screen Time, I’d love to hear your feedback. I’d also invite you to share feedback with me on this entire episode and others, simply by tagging or messaging me on social media (Instagram, Twitter or Facebook) or emailing me at regan@thisunmillenniallife.com. You’re also always invited to join the This Unmillennial Life Facebook Group or connect by leaving me a voicemail.